This manicure is a combination of patterns and glitter with using only 2 main colors. 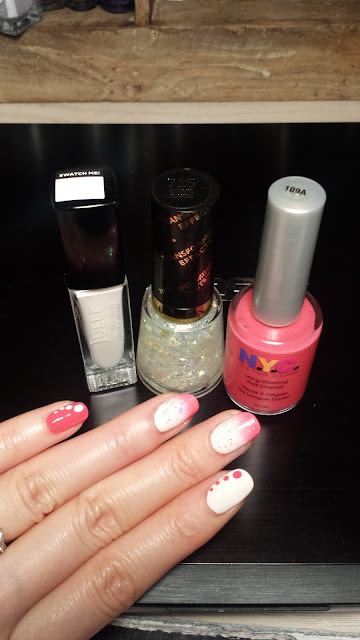 On the middle and fourth finger nails, I first used the cream as a base. This cream color is a gorgeous cream polish by Julep. It is a bit softer than a white polish. After it had completely dried, I sponged on the pink on the tip to make the gradient/ombre effect. Then I topped it off with some chunky glitter. 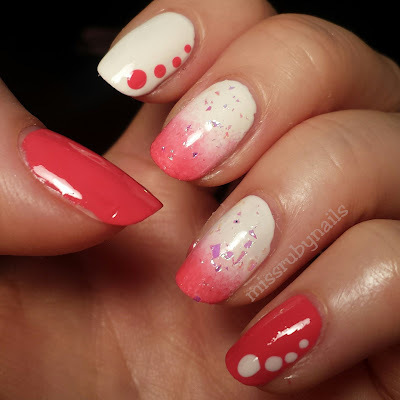 On the other nails, I just simply painted a solid base color and added some polka dots. 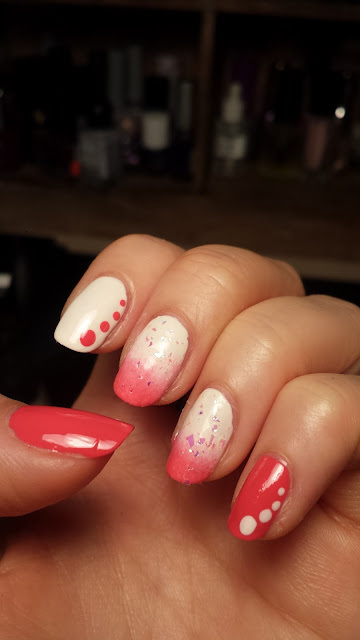 I positioned them on one side and used different sizes of dots as a graduate effect complimenting the ombre effect! Click HERE for Jelly Ponding Dotticure!